A psychologist is a person who has professional training and clinical skills to help people (their clients) learn to cope with life issues and mental health problems more effectively. To become a "registered psychologist" must complete a 4 year course of study, followed by either a 2 year internship or a 2 year post-graduate training program, and register with the Australian Health Practitioners Regulation Agency (AHPRA). It's a gruelling process, becoming registered, but it's worth it! To become a "clinical psychologist" - a person needs to complete a 6 year course of study, followed by a 2 year supervised period. Again, gruelling, and no, I haven't completed this, but I would like to in the near future. Clinical Hypnotherapy is a person trained to use hypnosis in a clinical setting. They may be a mental health professional (such as a doctor, psychologist, social worker, dentist or counsellor) who uses hypnosis to as an adjunct to their other qualification. Alternatively, they could be a layperson who is trained in hypnotherapy, but who may not hold other qualifications. Some Clinical Hypnotherapy courses are only 10 weeks long (the industry usually asks for a minimum of 100 hours training). Therefore, when choosing a hypnotherapist, choose one who is qualified to treat your condition WITHOUT hypnosis, so that you know they are also competent to treat your condition WITH hypnosis. 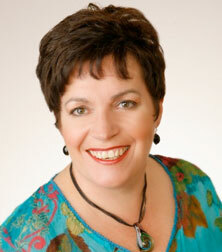 Janine is a highly experienced, qualified and registered hypnotherapist and counsellor. She returned to study in her 40's and is now a qualified and registered psychologist in private practice, while working 3 days per week as a Careers Counsellor at WSI TAFE. The cost for stop smoking hpynosis is $550, payable at the first appointment. Most smokers spend more than $400 on ciggarrettes every 4-6 weeks, so the life-time savings from not smoking are tremendous. Please note the full amount is payable up front (the individual session rate does not apply). Medicare rebates do not apply for Stop Smoking Hypnosis. Some health fund may pay rebates for Stop Smoking, but you will need to pay in full and claim directly through your health fund (i.e. you will not be able to use HICAPS). Medicare Rebates for Psychological Services? Yes, MEDICARE rebates are available to clients receiving psychological services with a Mental Health Care Plan from a GP for up to 10 sessions per calendar year, with a GP review required after 6 sessions. To work out if your are eligible for medicare rebates, start with a conversation with your doctor to discuss your issues, and how you have been feeling or what you have been thinking. Your doctor will develop a treatment plan, which may include a referral to a psychologist under a mental health plan. You can then book an appointment through our booking number. Alternatively, you can book your first appointment, and see your doctor in the intervening period (before your first appointment). The third option is to make and pay for your first appointment, and then see your GP to take advantage of the rebate scheme for future appointments. The rebate for appointment is $84.80. Can I get Medicare Rebates for Hypnotherapy? No. In general terms, Medicare DOES NOT rebate for hypnotherapy. However, there are some medical practitioners and psychologist who preform hypnosis and hypnotherapy as part of an overall treatment plan, and under these type of conditions, a rebate may be possible. Can I get Health Fund Rebates? Psychology: Most health funds provide some rebates for psychological services.